Tuesday night, February 7th, I was invited to give a talk on my body of work at the salon series, LISA: Leaders In Software and Art. Honored to be speaking along with sound artists Jess Rowland and Mari Kimura. 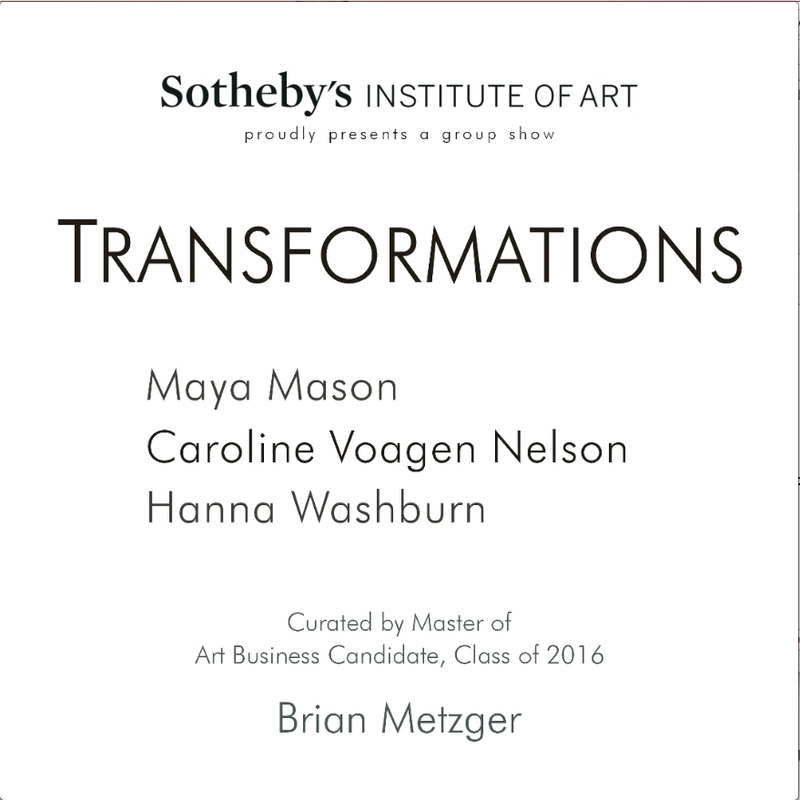 My work in Sotheby Institute of Art's exhibition TRANSFORMATIONS. Two of my large scale photo montages and four video works (animation and interactive documentations) were on view. PROJECTED ANATOMY: Group exhibition co-curated by myself and artist Leah Roh at DDA Gallery in November. 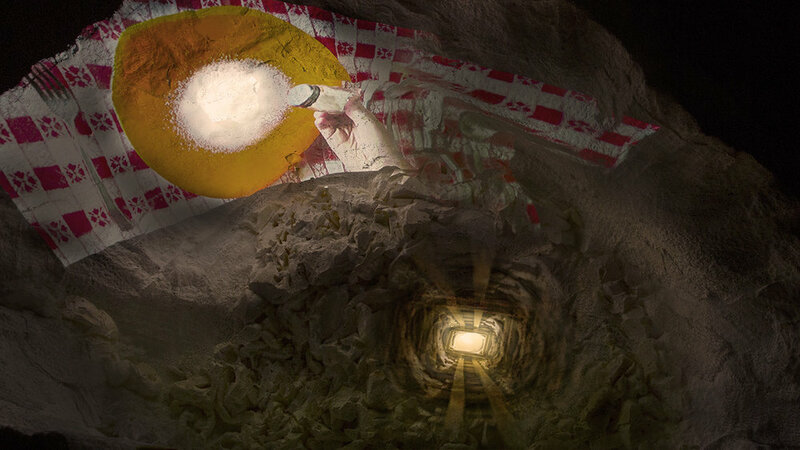 This group exhibition dissects the human form’s relationships with environments in various installations, animations, digital imaging, and interactive technologies. Artists work on view include: Nathan King, Leah Roh, Magali Reyes, Christina Avagliano, Hye Soo Chang, Ruyin Tsai, Yajun Shi, Caroline Voagen Nelson, and Fuensanta Sobejano. 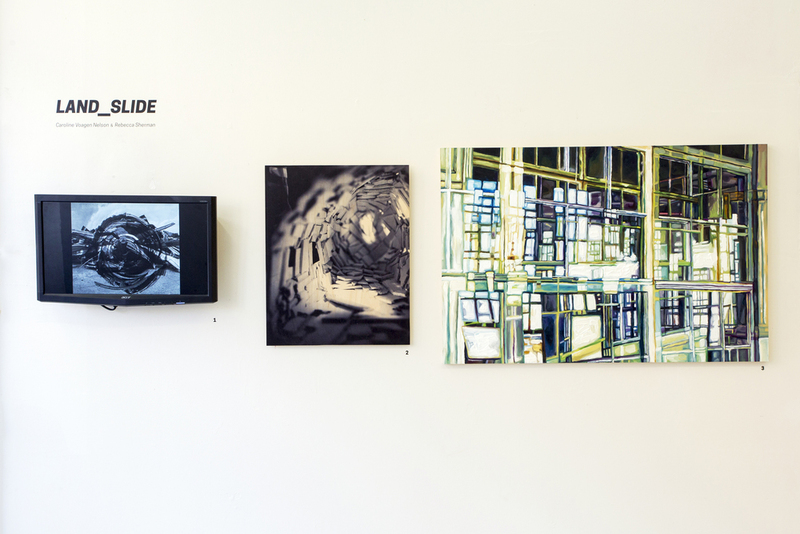 VIEW FROM ABOVE is a group exhibition that investigates aerial perspective in different forms, from political borders and hidden miniature landscapes to mechanical infrastructures and textured maps of memory. Perspectives of the world become fragmented using various techniques of installation, interactivity, and introspection. The exhibition is curated by Caroline Voagen Nelson. 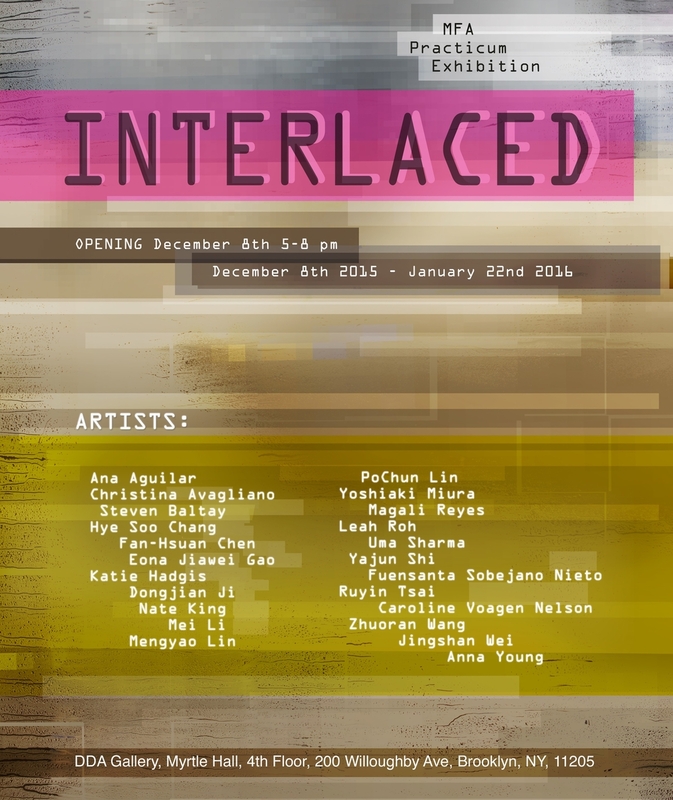 Group show including one of my interactive installations with projection mapping of a stop motion animation. SYNCED Art Event made possible by West Harlem Arts Fund. historic Cotton Club exterior in West Harlem in Manhattan. 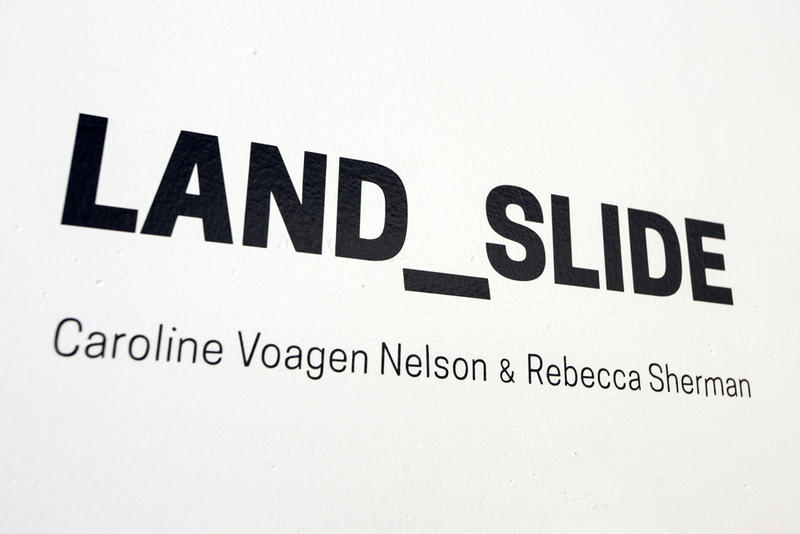 Land __ Slide features Caroline Voagen Nelson’s and Rebecca Sherman’s dynamic representations of moving environments in a sustainable, eco conscious era. Civic Art Lab is a summer-long storefront in Bed-Stuy, Brooklyn in collaboration with the Bridge Street Development Corporation’s Pop-up Program. This environmental, arts, and educational initiative calls on citizens to co-produce creative and open ways to share skills and showcase recent cultural and environmental initiatives happening locally in order to amplify the diverse voices and encourage future civic engagement.